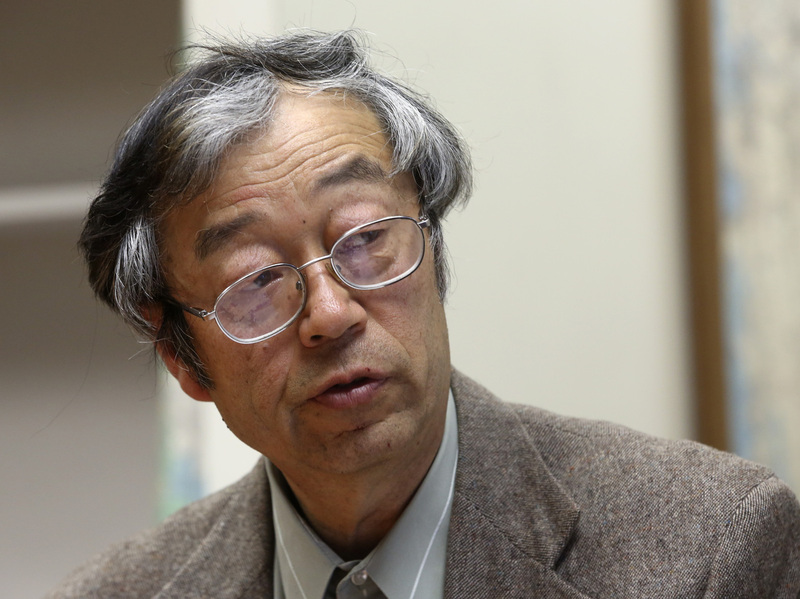 Why All This Fuss Over Satoshi Nakamoto Is A Boost For Bitcoin : All Tech Considered The media frenzy over the alleged founder of Bitcoin appeals to universal human curiosity. Mystery, intrigue, a dash of conspiracy! If that's not enough to turn Bitcoin into a household word, what is? Is this Satoshi Nakamoto, the mysterious founder of Bitcoin? He says no. On Thursday, Newsweek's Leah McGrath Goodman reported that she had found the founder of the crypto-currency Bitcoin — the elusive Satoshi Nakamoto, a person or group of people whose true identity has been unknown. As we discussed Thursday ('Newsweek' Says It Found Bitcoin's Founder: 4 Things To Know), this isn't the first time journalists have tried to pinpoint the real Satoshi Nakamoto. But this certainly has garnered the most attention. It sparked a good, old-fashioned media frenzy — reporters swarmed the Los Angeles area home of Dorian né Satoshi Nakamoto, chased him in their cars as he drove to lunch with Associated Press reporter Ryan Nakashima, and reported on his statement to the AP denying that he was the brilliant enigma who created Bitcoin — "I got nothing to do with it," Dorian Nakamoto said. But Goodman told Jeremy Hobson on NPR's Here And Now Friday that she stands by her reporting. His family told me that he would deny it. In fact, I was very surprised when he acknowledged it to me when I met with him. ... I said, "People think that you are the founder of Bitcoin," ... and he said, "I cannot talk about that, I'm not connected with it anymore." And I reasserted, "We are talking about Bitcoin here, correct?" and he said "Yes!" ... and in addition, my last question to him was: "If you are in any way not connected, you need to tell me. You need to tell me now." And he said, "I cannot do that." Now, as we have mentioned before, a lot of people don't know or care what Bitcoin is (If You've Ignored Bitcoin Up Until Now, This One's For You). And if you're not a part of the Bitcoin community, its newsworthy successes and pitfalls don't affect you. So what if you can use your Bitcoin on OKCupid? So what if a hacker stole $480 million worth of Bitcoin in February? It's interesting if you care; if you don't, you haven't lost a dime. But Bitcoin relies on people knowing and caring about it to establish legitimacy. There needs to be faith in the system, faith that Bitcoin is real, faith you can give someone a bitcoin and get something valuable in return. As Goodman tells Here And Now: "I think there is definitely a future of Bitcoin as long as people believe in it." With a media swarm, a car chase and a Twitter frenzy, Thursday's story has gotten more mainstream attention than any other Bitcoin-related news event. It doesn't deal with hard-to-grasp concepts like cryptography or Bitcoin mining — it just appeals to human curiosity. And if that's not enough to make people pay attention, what is?